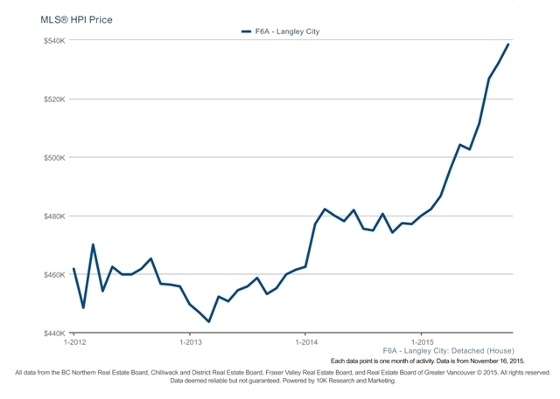 No end in sight for house prices! 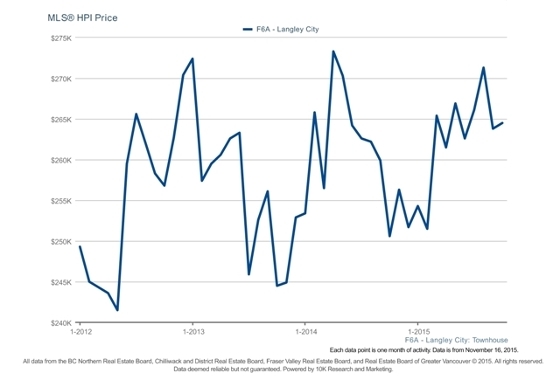 It's been a steady increase with prices up 13.6% from October last year. With only 32 active listings and 19 sales there is a huge shortage of homes for sale creating a sales to active listing ratio of 59.4%. A very strong sellers market! Average days on market to get these homes sold was 31 days. 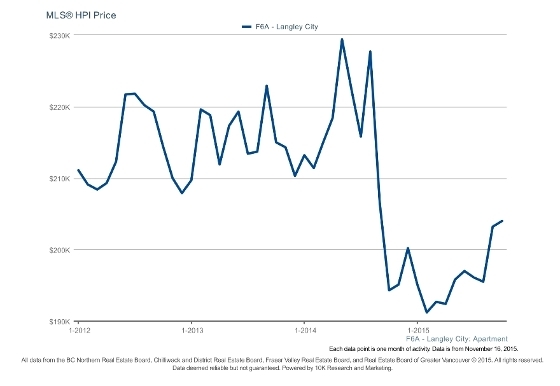 Langley City Townhouse prices have seen a lot of fluctuation this year but the Home Price Index shows a prce incease of 5.5% from the same time last year. 5 of the 19 active listings sold resulting in a sales to active listing ratio of 26.3% which indicates a balanced market. It took an average of 21 days to get these homes sold.